The founders of True Zero came together with a shared belief that electric fuel cell cars can change the world in a positive way. They recognized that a hydrogen charging network was the last hurdle before widespread adoption of these vehicles. 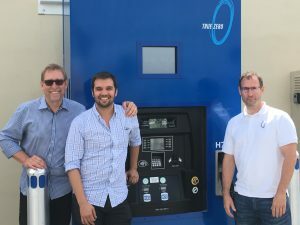 With a diverse and unique set of backgrounds in business, science, engineering and policy, Chairman and Chief Executive Officer Joel Ewanick, Chief Operating Officer Tim Brown, and Chief Development Officer Shane Stephens set out to make the world’s first hydrogen network a reality. The world’s leading auto manufacturers and policy makers have set out to fulfill a vision where zero emission fuel cell cars can drive us toward a country, and a planet, less dependent on fossil fuels, with zero impact on the environment. This is a vision shared by True Zero’s management team. 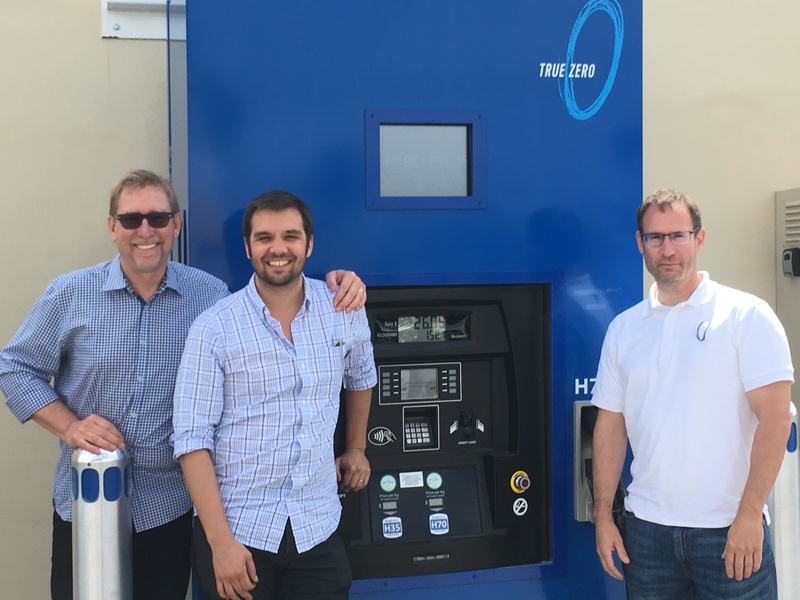 When True Zero set out to build a retail charging network, they secured grants from the California Energy Commission as well as financing from Toyota and Honda to build 19 hydrogen charging stations throughout California under Phase 1. With Phase 1 of the True Zero Network completed, a customer will be able to seamlessly drive their electric fuel cell vehicle throughout the state of California, just like a gasoline vehicle. From San Diego to Lake Tahoe, or from San Francisco to Los Angeles, a driver can leave the range anxiety behind. With visionary policy makers and leading automobile companies, True Zero is dedicated to a clean, sustainable future that is powered by hydrogen. But it will take more to get there. Creating such a vision is something we must all do together, with customers who are committed to the future as well. Joel Ewanick, Shane Stephens and Tim Brown at the Costa Mesa, CA charging station.